Report presented at the meeting of the KAPD Central Committee on July 31, 1921, by a KAPD delegate to the Third Congress of the Third International. establishing, to the greatest possible extent, an opposition within the Third International. The delegation did not succumb to the illusion that it was possible to radically modify the official positions and Theses of the Second Congress; it had to emphatically insist upon battling against them, nonetheless. We devoted our greatest efforts to the second task mentioned above (establishing an opposition). In the course of our discussions with the delegations from Bulgaria, Mexico, Spain, Luxembourg, England, Glasgow, the Bulgarian Group and the IWW (Industrial Workers of the World), it became clear that we share some points in common with all these groups. The “Bulgarian Lefts” are closest to our positions. Their understanding of the Mexican situation is exactly the same as ours. The Bulgarian organizations are not actual “unions”, but coordinating bodies composed of syndicalists, anarchists and shop stewards. The relation between these organizations and the party is more or less such as we have tried to achieve: it is the party which directs the movement. After the Bulgarian comrades, it was the Spanish comrades whose positions were closest to ours. They understood us perfectly. There is just one problem: the concept of the need for a political organization has yet to be generally accepted in Spain; but it is gaining ground. The comrades find themselves beyond trade unionism, on the road to communism. Their organization has 1,100,000 members: approximately 50% of all the organized workers in Spain. The comrades from Luxembourg are convinced advocates of factory organizations which are closely linked to the party. There is a “good” workers movement in Luxembourg, and its delegates assured us that they wanted to stay in close contact with us. The Glasgow Group agrees with us on the theoretical level, but their organization is not very cohesive. The Belgian representatives, during the course of our first discussions with them, proved to be in complete agreement with our principles and tactics; they stated, however, that our methods of struggle were not yet applicable in their country. The IWW was vehemently opposed to the positions of the Third International. It has a rather syndicalist character, but its delegates have admitted that a political organization is necessary for leading class struggles; they intend to study our experiences and draw the appropriate lessons. They asked us for political material. We also held interviews with comrade Roland-Holst, of the Dutch minority faction; and with some members of the Austrian delegation, with whom we were able to establish some points of agreement. After these separate discussions with each delegation, we held an open forum. It was then that we came to clearly understand that the idea of forming an opposition within the Third International was an illusion, even though the delegates, considered separately, were in theoretical accord with our views. As it became clear to them that our discussions were meant to lead to the representation of a point of view in emphatic opposition to the Third International, they became frightened and balked. We then tried to create a framework for opposition on the basis of three themes: parliamentarism, trade unions and ultra-centralism. This did not succeed either. Finally, we attempted to obtain a homogeneous position on the part of all the opposition groups on just one of these themes. The most promising one in this respect was the question of parliamentarism. But this attempt failed as well. Everyone was afraid of being excluded from the Third International. It was then that, more clearly than ever, we realized how right we were to break with the Spartacus League. Within the Third International, if the Theses of the Second Congress are accepted, it is impossible to express an opinion other than that of the Russian Communist Party. All of which leads us to just one conclusion: we, the KAPD, stand alone. We must therefore abandon our mission to found an opposition. But we should not conclude that the KAPD’s representation at the Congress was unjustified, or that we should have behaved like Rühle did at the Second Congress. We simply understand that we can only rely upon ourselves, and that our task has become much more difficult, but also much more necessary. It was necessary to force the Third International to clearly reveal its opportunism, to show by means of its exclusion of the KAPD, the impossibility of an independent revolutionary organization remaining within the Third International. Since we had foreseen that we would only be allowed to speak for the minimum allotted time period, we used other means to make the delegates aware of the principles and methods of action of the KAPD. To this end, we composed outline presentations of all the important problems, theses and principle guidelines of the KAPD (see Volume No. 7 of Proletarier, the theoretical journal of the KAPD) as well as a report on the Communist Workers Party (the KAPD). These works were translated into English and French and were printed in large numbers and were distributed to many delegates. Prior to the opening of the Congress, the Executive Committee held many meetings, in which all the members of our delegation participated. The line which the Congress would adopt could be seen at these meetings. Before we left Germany we had conceived a dual hypothesis concerning the Congress: either the Third International would inaugurate a new, more activist policy, or it would plunge deeper into the old orientation. As it turned out, even the hope for a reactivation of the Third International—a hope which could have been kept alive by the recognition of the March Action—seemed to be illusory. After overcoming incredible difficulties, we managed to obtain an interview with Lenin prior to the opening day of the Congress. During the course of this interview, Lenin declared that Levi was basically totally correct in his position against the March Action; and that he had only violated party discipline and thus committed an act which could not go unpunished. This constituted an important sign for us, since Lenin’s authority is unquestioned within the Russian Communist Party. This state of affairs was further illustrated by the attitude of the Russian representatives on the Executive Committee. 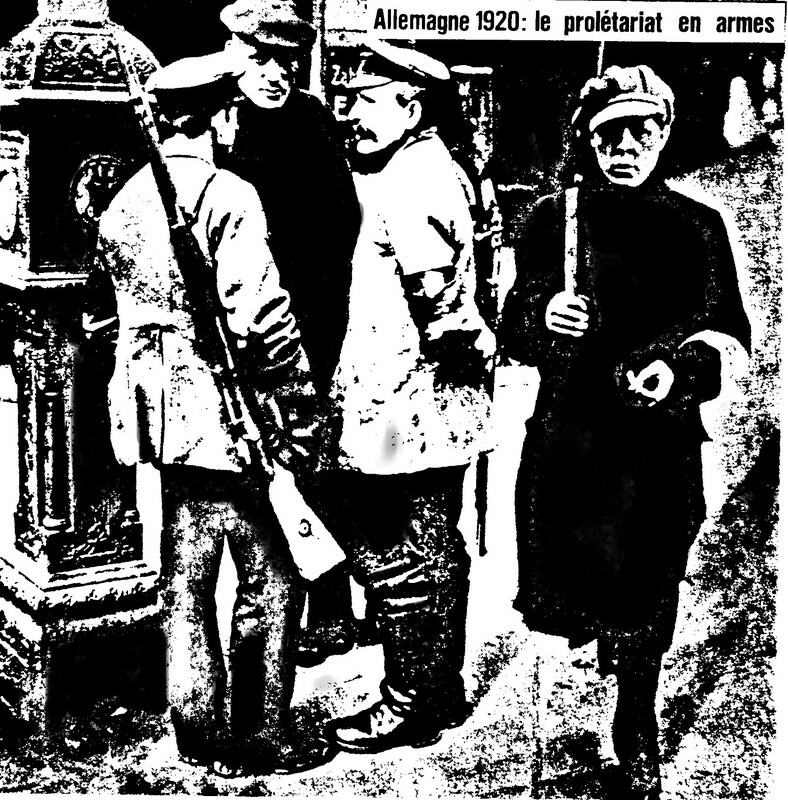 The comrades of the French Youth group and certain elements of the French party, for example, criticized the party’s leadership: it had remained inactive at the moment of class mobilization in 1919. The delegates from Luxembourg also formulated serious accusations against the French party. When the workers of Luxembourg occupied the factories in March and the French Army intervened, the leadership of the French party remained mere spectators and did nothing. When these complaints were brought up for debate, Trotsky took Loriot’s side against the French Youth and Luxembourg delegates; he even reproached the latter for harboring nationalist motivations. Lenin also openly favored Loriot. Previously, Bela Kun, Radek and Zinoviev had mildly criticized Loriot. But from the moment that Trotsky and Lenin expressed their views, they shut their mouths. This sort of immobilizing opportunism also made its appearance in relation to the issue of the Czechoslovakian party, led by Sméral, who is a complete rightist.1 The fact that the social-democratic rightists dominated this party and that they were allowed to enter the International was not mentioned at all. . . . A mild resolution was presented, however, in which some observations were made concerning Sméral and the rightists. (Immediately afterwards, during the Congress proceedings, the resolution was vacated of all meaning, even omitting the part which was directed against Sméral: the Czechoslovakian delegation had demanded that it be revised in this manner and Lenin himself intervened on their behalf). These examples should suffice. The Executive Committee also determined the structure of the Congress proceedings. The political bureau of the Executive Committee made the proposals and, naturally, no one ventured to formulate the slightest revision of its proposals. This was how the various committees were constituted. We sent representatives to the following committees: the committee for preparing the report of the Executive Committee, the committee on the world economic situation, the committee on tactics, the committee on the trade union question, the committee on organization, and the committee on the tactics of the RCP. We presented our theses to all these committees. But we could not present them before the whole Congress assembly. The Congress only heard the theses submitted by the Executive Committee itself. We proposed to the Executive Committee that we should be permitted to present supplementary summaries on certain issues. We were told that we had to do this in the committees. But the committees, once formed, never actually functioned (except for the committee on the economic situation). The first session of the Executive Committee took place in the Bolshoi Theater. It was an entire day of opening ceremonies; Zinoviev opened the Congress by delivering a speech summarizing the history of the Third International. The various delegates presented reports on the situations in their respective countries. The session ended with a performance by Russia’s most eminent artists. Chaliapin (the Russian Caruso) aroused the most enthusiastic response. As the concluding act, the whole Congress was taught to sing a popular Russian folk song. To summarize: the day began with Zinoviev, and closed with Chaliapin. Despite all of these diversions it was not merely a day of ceremony, as, in the midst of all the confusion the rules of order were established and the Presidium of the Congress was elected. Our report on the same topic was not accepted. Since speaking time was limited to ten minutes per person, we applied the following tactic: we split up our report and had several comrades share the task of reading our report; thus, two comrades from the KAPD spoke (the speeches of comrades Sachs and Seeman are published in Kampfruf, 3 issues Nos. 14 and 154). Our delegation had already presented a critique of Trotsky’s theses on the world economic situation during the committee’s proceedings (this critique is published in No. 218 of this journal). They were subjected to many criticisms, but Trotsky continued to assert that his theses must be adopted in principle. They could not be subjected to corrections, except in matters of style or wording. Even though Frölich, of the VKPD, expressed his opposition, the theses were immediately adopted in principle, in accordance with Trotsky’s proposal. At the moment this question came up for a vote, a rupture emerged in the VKPD delegation. Meanwhile, the credentials committee presented its report. Radek’s explanation of the problem involving the admission of the Bulgarian “leftists” is quite characteristic of this committee’s work: “The group of the alleged Bulgarian ‘leftists’ cannot mention any activity of their own, and we have considered it to be totally inappropriate to reward people who have carried out a project of disorganization by giving them a consultative voice in the Congress.” The admission of the Bulgarian “leftists” was rejected; it was the Communist Party of Bulgaria, of a purely social democratic character, which would constitute the official section of the Third International. Afterwards, the report of the Executive Committee was presented. Zinoviev reported on the Executive Committee’s activities over the last few years, defending the Executive Committee’s point of view on strict compliance with the 21 Conditions, making special reference to the Italian party, the “March Action” and the KAPD. Later, the Executive Committee’s position throughout the year received its critique in the practical form of the offer that the Italian Socialist Party would be readmitted to the Third International upon the condition that it should sacrifice Serrati. Just as the Executive Committee’s harsh attacks against Levi and his cohorts were skillfully replaced by the accusation of having “violated discipline”. It treated them gently and even soon thereafter came to fully approve of Levist opportunism. After this report, he read the now-famous Memorial to the German Proletariat, concerning the Max Hölz affair. This Memorial describes Max Hölz as a valiant rebel against capitalist society, whose actions, while corresponding to his love for the proletariat and his hatred for the bourgeoisie, are not appropriate. The CI opposes his use of terror. The KAPD protested against this Memorial; it showed that this Memorial turns its back on the acts of Max Hölz and that in the KAPD’s eyes it was nothing but an insult. Radek bridled at this “disruption”, saying, among other things, that the KAPD had even gone so far as to fight in defense of the tomb of the fallen. The well-known attack on the KAPD took place on the second day of the debate on the Executive Committee’s report. Number 214 of our journal provides the complete text. The 21 Conditions of the Second Congress are now even less capable than they were previously of providing any kind of security against reformist putrefaction in the future. After the creation and admission of the large mass parties, the Third International needs, now more than ever, the presence of a purely proletarian revolutionary opposition. Such an opposition cannot be effective unless it is not overwhelmed by the apparatus and the number of votes of a party that wants (as a matter of principle), at whatever cost, to unify the masses behind it and thus can only be and must be reformist. The Unified Communist Party (VKPD), in particular, remains to this very day, in relation to its tactical principles, within the camp of Paul Levi. Its own left wing is usually the prisoner of a fatal self-deception. In conclusion, currents related to the KAPD are now forming in every party in the Comintern. But they cannot continue to grow in the interest of the proletarian revolution and the International, unless the KAPD can continue to subsist as an independent party within the CI. For all of the above reasons, we propose that the KAPD should remain in the CI as a sympathizing organization. Radek delivered the speech summarizing the question of tactics. We proposed a supplementary summary, but our entire delegation was granted only one hour to speak. We presented our point of view (rejection of trade union and parliamentary methods) and called for the application of the methods of struggle of the Communist Workers Party and the General Workers Union. At one moment during the debate, the VKPD defended the offensive launched during the “March Action”. Soon, however, the following typical incident took place: after Clara Zetkin had spoken and after everyone had their turn speaking, after Lenin and Trotsky said she was right and condemned Levi merely for a breach of discipline, the “leftist” whims of the VKPD’s delegation evaporated. Radek reproached the Rote Fahne6 for having too suddenly and precipitously begun the “March Action”. The VKPD’s Friedland admitted that this was true. Lenin presented the report on the tactics of the Russian Communist Party. He unveiled the Russian government’s new line on the policy of concessions, free trade, etc., and he defended it. Russia’s new policies are well-known and have been subjected to criticism on various occasions. A comrade from the KAPD made a statement against Lenin’s speech. Trotsky immediately took the floor and attempted, by means of very long explanations, to subject comrade Kollontai to ridicule. He could not, however, refute her arguments. The KAPD delegation then addressed this issue. We placed particular emphasis on the fact that, although we had never meddled in the domestic affairs of the Russian Party, now that we had become aware of comrade Kollontai’s arguments, we were obliged to adopt an even more critical position in respect to the soviet government. At that moment, comrade Roland-Holst, from the Dutch minority faction, felt obliged to defend the RCP against our attacks, declaring that the RCP was of the left and always had been. On the trade union question, Zinoviev and Heckert from the VKPD presented their report amidst the total indifference of the Congress assembly. Once again, our entire delegation was condemned to only one hour to present our views. At that moment, the Congress feigned an attack of deafness. Our theses on the trade union question were referred to the committee, where they were rejected as possible bases for discussion, with the allegation that “the Congress had, in its every position, rejected the conceptions of the KAPD”. We proposed, prior to the vote on the theses submitted by the central bureau of the EC, that we should once again explain our theses in a brief concluding intervention. This request was denied. The Youth question: Münzenberg’s report. Women’s rights. The Eastern question: none of these presentations aroused the least interest in the Congress. For several weeks, the Congress participants have been given a completely false image of the KAPD, through articles which misrepresent our party in the Russian press, in the Communist International9 and in the Congress newspaper. Meanwhile, our in-depth reports and our rectifications have not been printed. The way the Congress was structured constantly obliged us to fragment the expression of our positions. That this tactic had been pre-arranged becomes especially clear due to the fact that we were not even granted the opportunity to prepare a report or even a supplementary report on an issue which directly concerns us, the issue of the KAPD. We were thus obliged to refuse to speak at all so as to not become accomplices in a farce. The basis for the ultimatum directed against us was an alleged EC resolution brought to the attention of the Congress participants despite the fact that the EC never addressed the matter in any of its sessions, and despite the fact that none of its sessions ever heard, and therefore had all the less opportunity to have arrived at, any decision on this problem. This question, which had for a whole week remained one of the last points on the Congress’s agenda, as an issue which was to be treated separately, was never even separately discussed with us in preparation for the EC report. (Point Number Two of the day’s agenda). It was arranged by “decree”. In this manner, the result which was expected in advance was achieved: the Congress’s judgment was settled in advance, before it could have dared to become aware of our positions during the course of a debate on questions of principle. We decided to read this declaration at the end of the Congress, in order to make our opinion completely known to all the delegates. But this was not authorized by the Presidium; we were merely allowed to include our declaration in the published summary reports. The entire Congress was overcome by a condition of blind enthusiasm. The applause was endless, the cameras were flashing, and the movie cameras whirred. At that moment, our delegation constituted an accusation; it was a warning, like the warning given of old to Babylon. But the directors of the Bolshoi Theater would not get away so easily. During the course of the meeting of the Executive Committee which took place on the following day and which was attended by the representatives of every country, our declaration was nevertheless read by our delegation and convincingly and loudly proclaimed to more than one representative of the revolutionary proletariat that a hangover would necessarily follow the binge of resolutions adopted amidst all the hoopla and indecent publicity stunts. To immediately publish a detailed open letter to the members of the KAPD and to demand that the KAPD arrive at a decision within the next two months. To send a delegation to the next congress of the KAPD. The members of the KAPD are capable of providing the response which this declaration of the Executive Committee deserves. We know how it was arrived at, we know the text. The balance sheet of the Congress is this: the Levi tendency, in general, has won. The “March Action” has been renounced. The “theory of the revolutionary offensive” has been registered among the infantile disorders. The KAPD has been excluded from the Third International. Comrades! We have done all we could. We acted as the members of the party had demanded. Without any compromise, and without any concessions to the tapestry of illusions known as the Third International, we have followed our own road at the Third World Congress. The KAPD faces gigantic tasks. In its thought, its decisions and its action, it will have to make its way rapidly and decisively so that the world proletarian revolution will be victorious! On the third point of the agenda: the policy of the Russian State and the Third International. From one era to another, history follows a logical course and not even Russia can avoid it. The economic relations in Russia can only thwart the Russian comrades in their ongoing attempt to skip the capitalist phase. The feudalism of the Russian agricultural economy must, first of all, be overcome, insofar as this agricultural economy, due to its immensity and the lack of developed industry and markets, stamps the economic and political character of the country with its basic features. Class contradictions exist between the Russian peasants, who aspire to a private capitalist economy, and the Russian proletariat, which is fighting for a communal proletarian economy. The Russian government has become the representative of the bourgeoisie and the peasantry through the alteration of its policies in favor of the economic interests of the peasants. Such policies are always the consequences of economic development. The soviet government thus finds itself, for some time now, in contradiction with part of the Russian proletariat. Today, discord has reached an extraordinary level: the formation of the workers opposition in Russia and the violent struggles against the soviet government are characteristic proofs of this. The KAPD’s position on the soviet government must be modified in accordance with these facts: in the future, the KAPD can no longer unconditionally support the decisions of the soviet government, since its decisions are directed in part against the revolutionary proletariat in Russia: the workers opposition. Support for the soviet government can only be justified to the degree that the latter fights against the common enemy of the Russian proletariat, the peasants, and the petit-bourgeoisie: the feudal nobility. Furthermore, the KAPD must definitively separate itself from the Third International, because the latter has become an element of Russian State policy and must consequently adapt to the transformation underway in the character of the Russian government. After the Third Congress, the Third International has openly shown itself to be an enemy of the proletarian world revolution, insofar as it has excluded the KAPD. But we cannot remain outside a proletarian communist international; the KAPD must, starting now, begin to lay the foundations of new, truly revolutionary communist workers international. The Central Committee believes that the course of events at the Third World Congress has brought about, in principle, a rupture within the Moscow International. The Central Committee, taking into account the need for international class struggle, intends to construct a communist workers international for the accomplishment of the most urgent tasks of the world proletarian revolution. The Central Committee believes, furthermore, that the fundamentals, the tactics and the organizational form of this communist workers international must be adapted to the conditions of the proletarian revolution. The Central Committee declares that our policy towards the soviet government must at all times be dictated by that government’s positions. If the soviet government were to act as a factor in the struggle of the proletarian revolution, then the KAPD must support it with active solidarity. Should that government abandon our camp and assume the role of police chief for the bourgeois revolution, then the KAPD must fight it in a resolute manner. This text has been translated and published in issue No. 7 of Invariance, pp. 81-93. English translation included in a collection of texts as appendix to The Communist Left in Germany 1918-1921. Online version taken from the Collective Action Notes website. 1. The Czechoslovakian CP was formed as a result of a split in the socialist party and the socialist party’s center faction went over to the CP as well. In 1922, it had 170,000 members (cf. Carr, The Bolshevik Revolution, 1917-23, Vol. 3, p. 447). Along with the PCF and the KPD, it is one of the rare “mass” communist parties in Europe during the twenties and thirties. In Norway, for example, the social democratic majority joined the CI and became the Communist Party, but most of these communists returned a few years later to the socialist party. 2. “A reminder of death”. 3. Official journal of the AAUD. 4. Cf. The German Left. Texts. . . . , which reproduces the principle interventions of the KAPD delegates at the Congress. 5. The decree of the Executive Committee demanding the fusion of the KAPD into the VKPD. 6. Official newspaper of the VKPD. 7. I.e., the question of tactics. 8. Essentially, the VKPD left wing (cf. Chapter 13). 9. Leading newspaper and official organ of the CI.